Here I am again :) making my own memories with people I love and cherish. 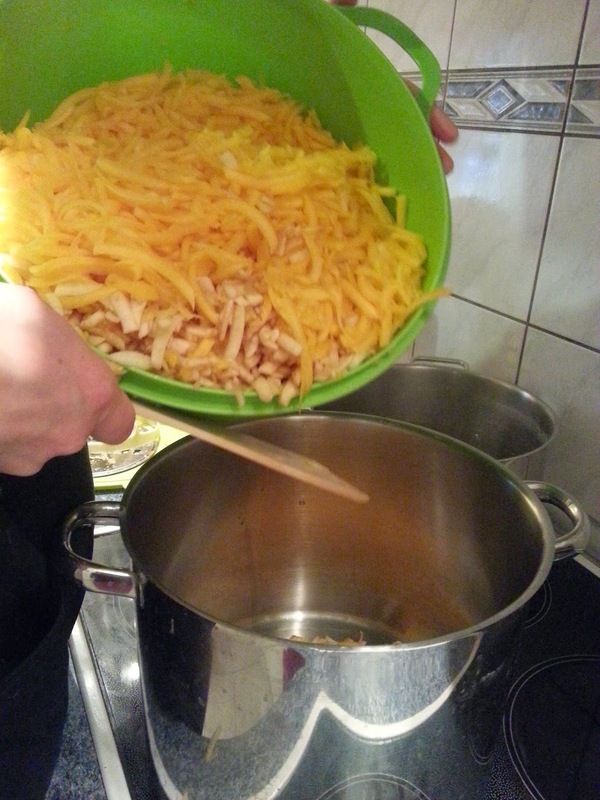 The other day we joined forces with my cousin and cooked in her kitchen and made: a to die for,Pumpkin maramalade. 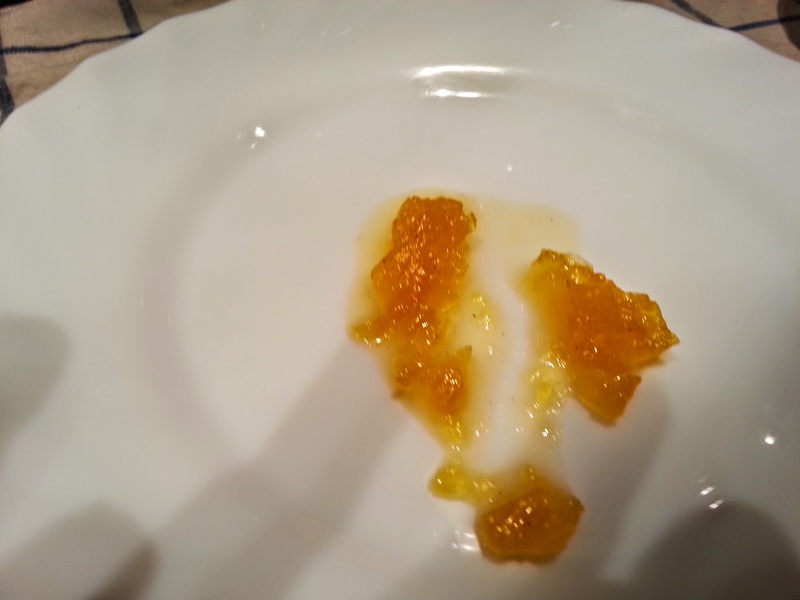 In this post you will see a step by step ( including sterilization of jars) of how to make a homemade marmalade. 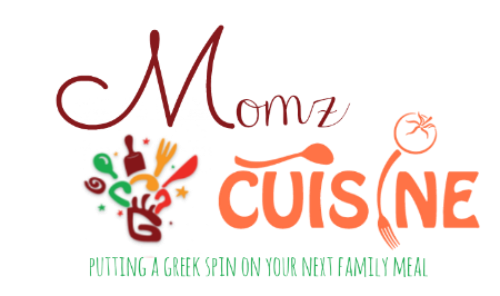 This post contains affiliate links and if you buy through my links I get compensated thus you help me grow my blog and add to my family income. 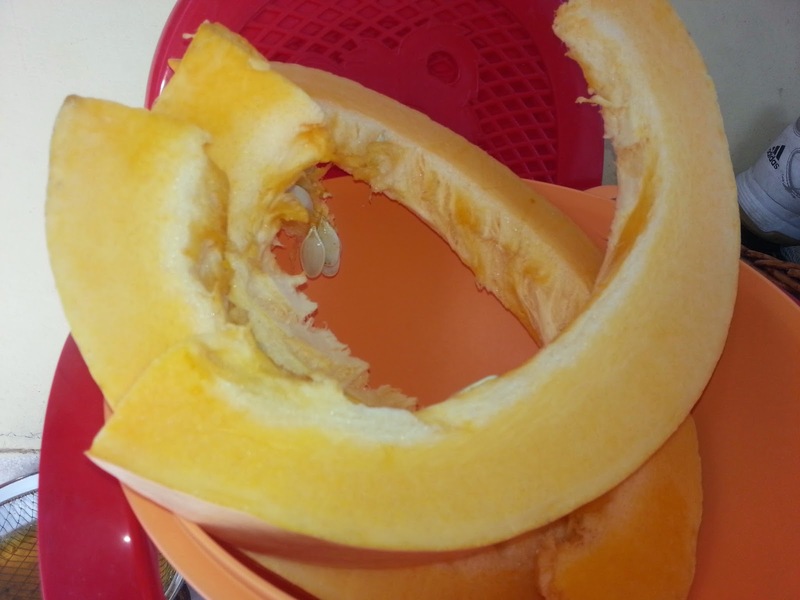 First, you open up your pumpkin and you clean it thoroughly. Slice legnth wise and remove the peel. 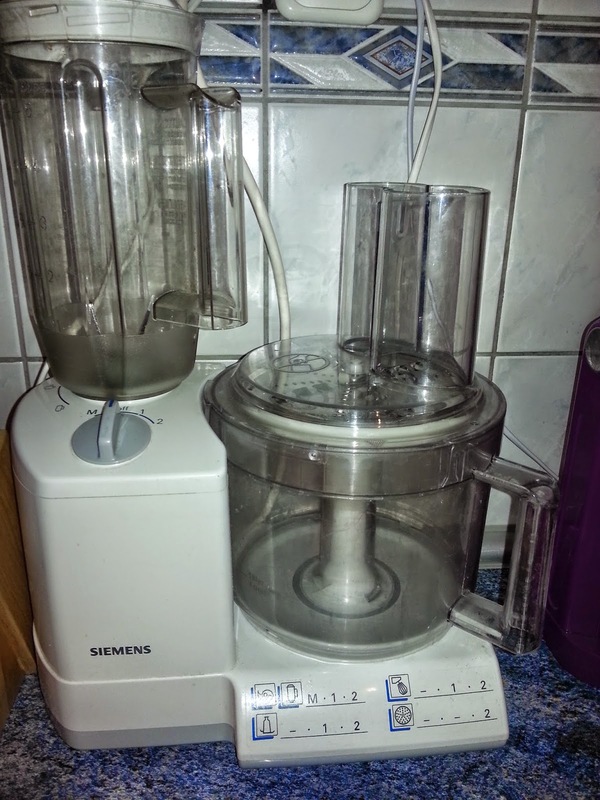 If you have this type of shredding machine it will make your life a lot easier. My cousin has all necssary kitchen gadgets. This baby will shread your apples and pumpkin in seconds. If you don't have this then cut the pumpking into small pieces by hand. 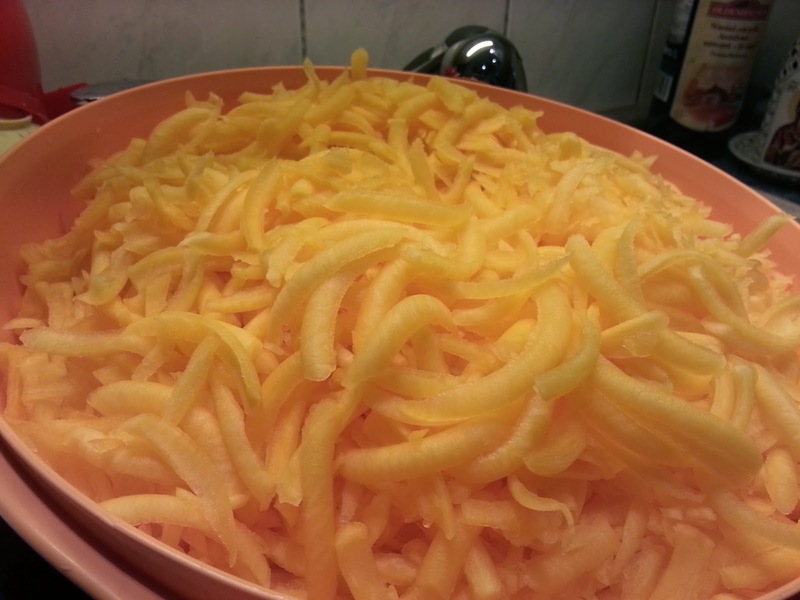 This is how your shredded pumpkin should look. Once this is done, peel and shread your apples as well. Place your shreaded pumpkin and apples in a tall pot. It makes it more convenient and will also keep your walls clean. 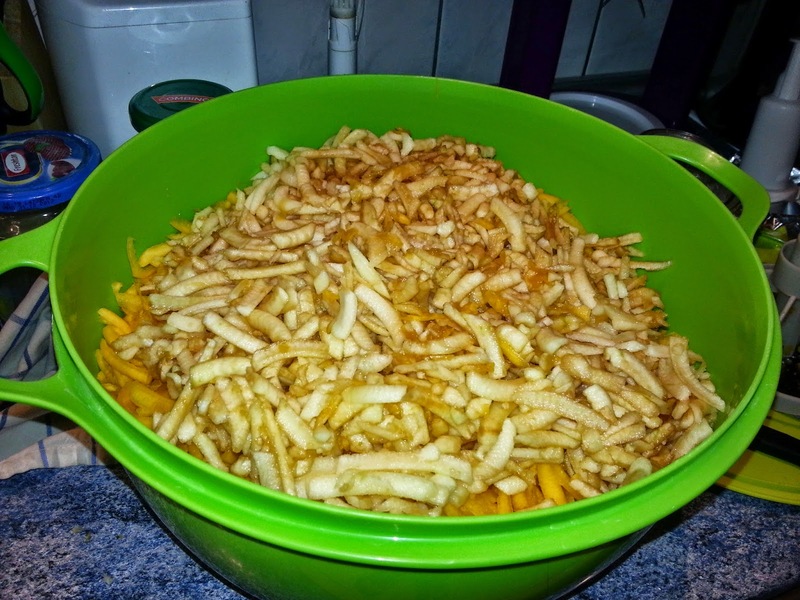 Once you have placed your shreaded pumkin and apple in the pot, add your sugar and let it sit for an hour. This helps the pumpkin extract all it's water. 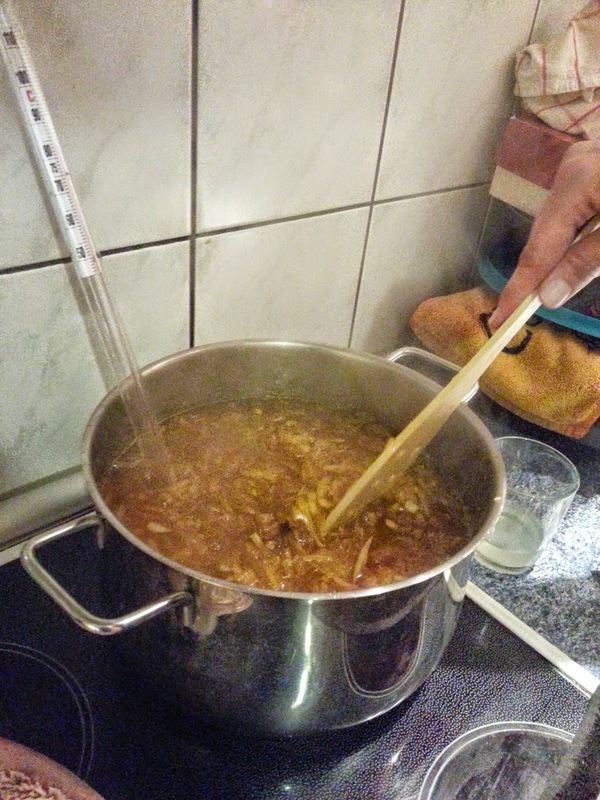 When this is done stir only with wooden spoon. Add the rest of the ingredients except for the lemon juice. Let it boil on low - medium heat. Place all your ingredients in the pot. 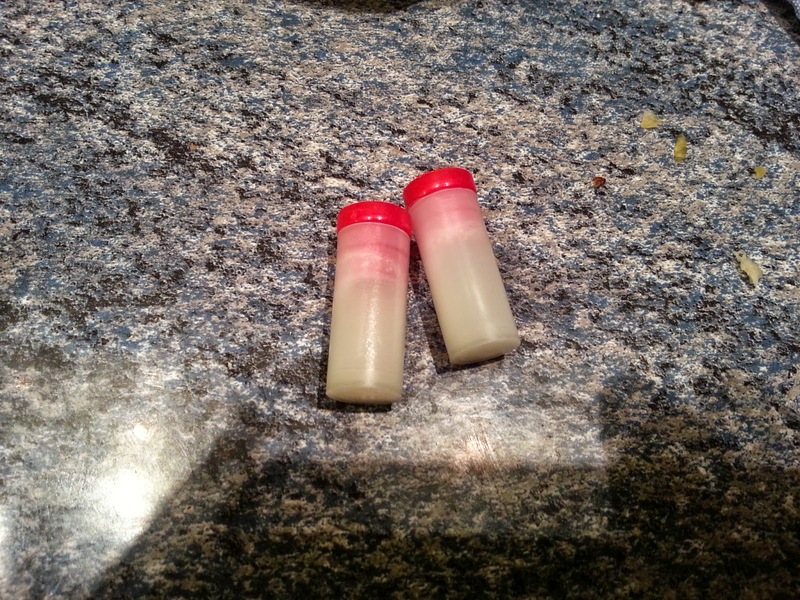 Add your vanilla if you have the ones shown in picture add two, if not use 1 teaspoon of vanilla extract. While it's boiling place your cooking theromometer in the pot. 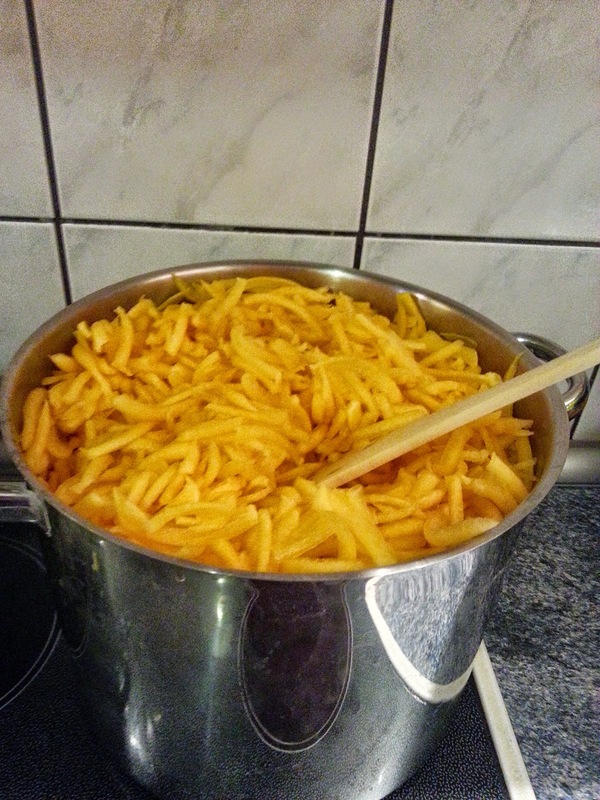 When it reaches 100 celcius ( 212 farhenheit) your sweet is ready. When it's almost ready add your lemon juice it helps the sweet to thicken. Set your marmalade to the side. 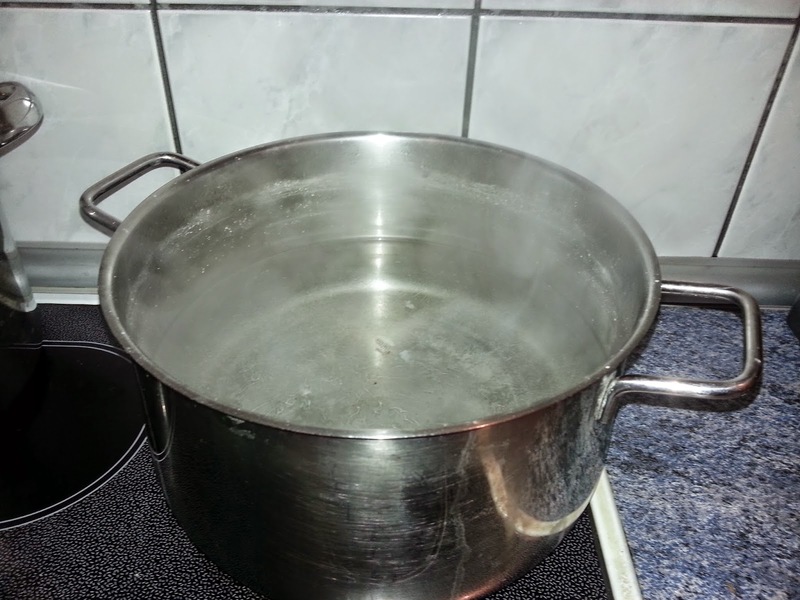 Fill a pot with water, when the water is sizzling hot add your jars an let boil for about 10 minutes. 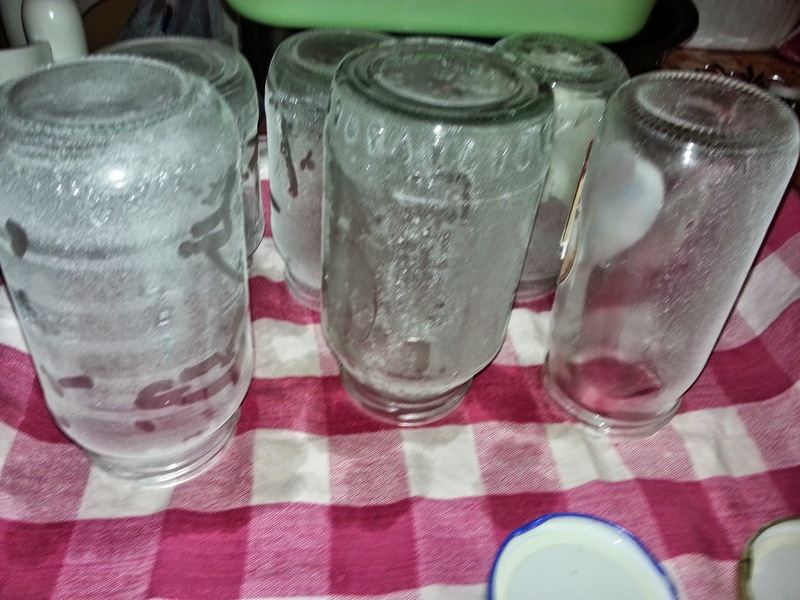 Take out your jars set them upside down so they can drip, place in a fan oven at 120 celcius (284 Farhenheit) for about 15 minutes. Use only air for sterilazation. 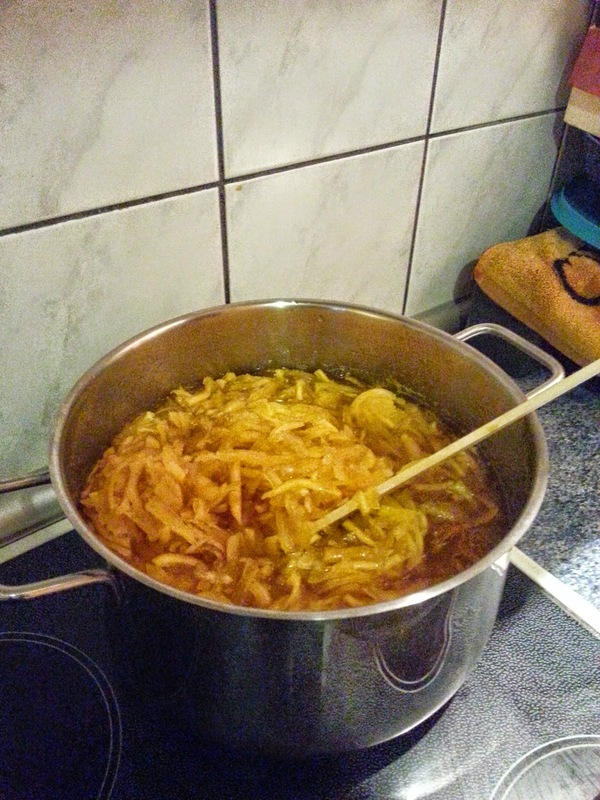 Sterilizing this way, preserves the marmalade longer. 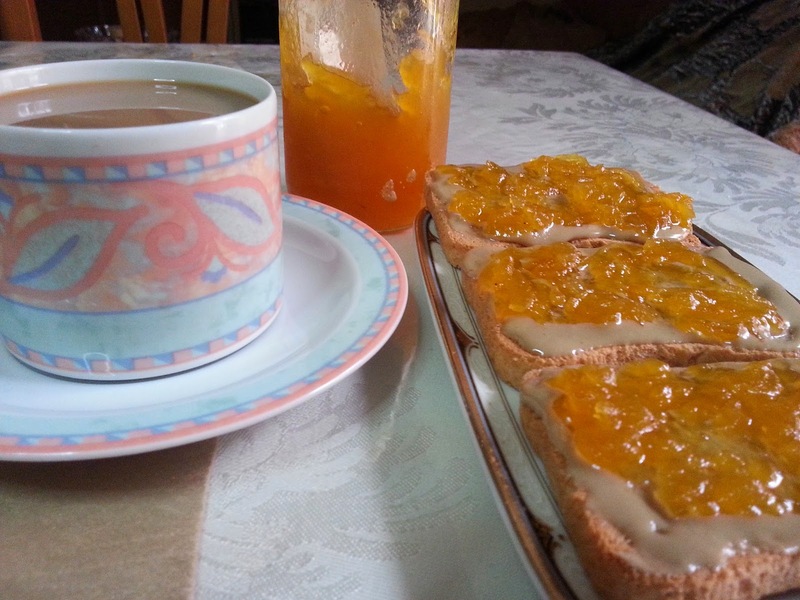 my homemade pumpkin marmalade with a warm cup of coffee. Great for a winter morning ! Another sweet recipe from my kitchen to yours !! Kale Orexi !! who knew you could make pumpkin marmalade? It sounds and looks so yum!! Oh wow, that sounds so good and I would have never thought to prepare pumpkin as a marmalade - interesting! Interesting take on a a classic preserve. I bet it's delish! Ladies you have put a big smile eon my face :) THANKS ! Thank you for linking up to Creative K Kids' Tasty Tuesdays Linky Party. I have pinned your post to the Tasty Tuesdays Pinterest Board. I have never thought of using pumpkin to base a marmalade!